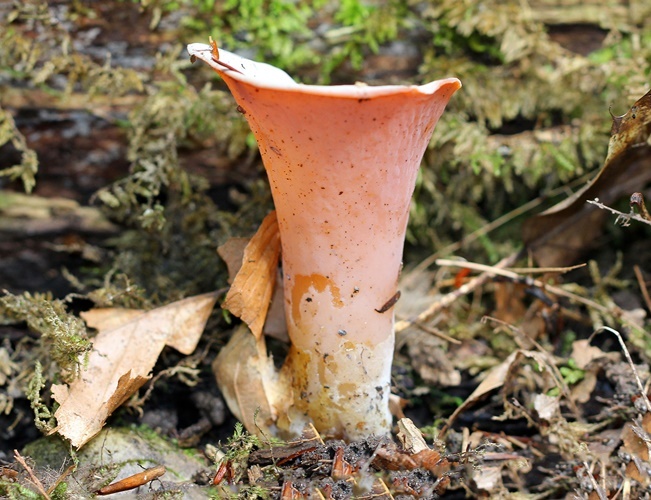 fruiting body is up to 6cm broad, salmon-pink to rose. flesh is smooth, gelatinous, and malleable. appears in spring, summer and fall. grows as several to many after rainy periods in areas with conifers. has a pleasant taste with no odor.